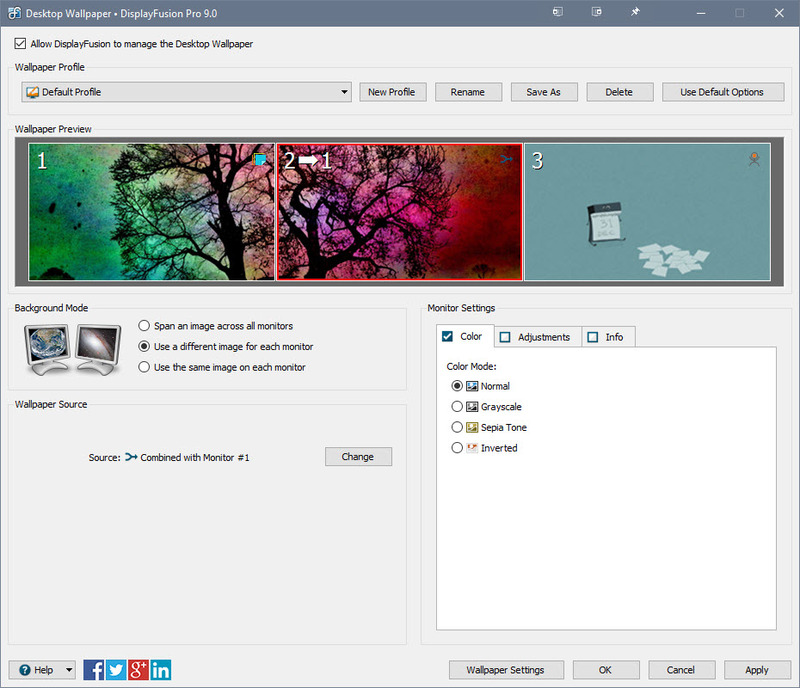 DisplayFusion's Multi-Monitor Wallpaper feature lets you break-free from the restraints of the default Windows wallpaper manager, and fully support your multiple monitors. 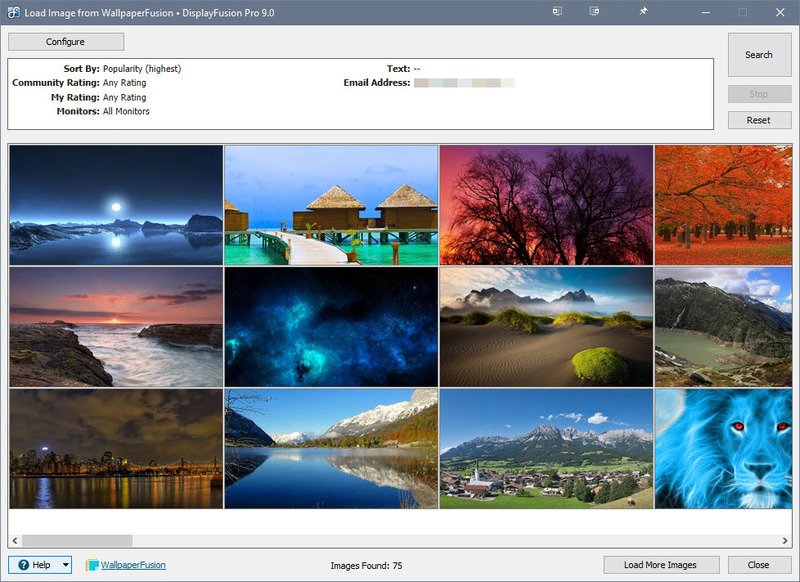 Span a single image across all monitors, load and tweak different images on each monitor, or span an image across some monitors, while using different images on other monitors! 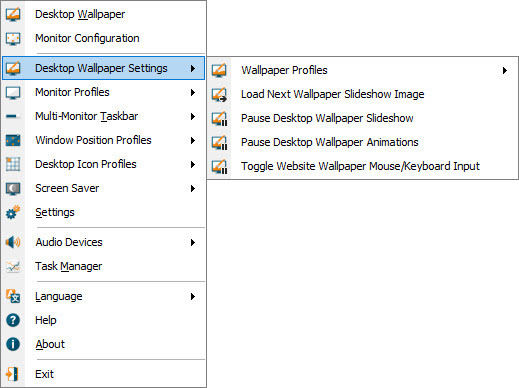 Take advantage of DisplayFusion's powerful Wallpaper Profiles to configure multiple groups of settings. 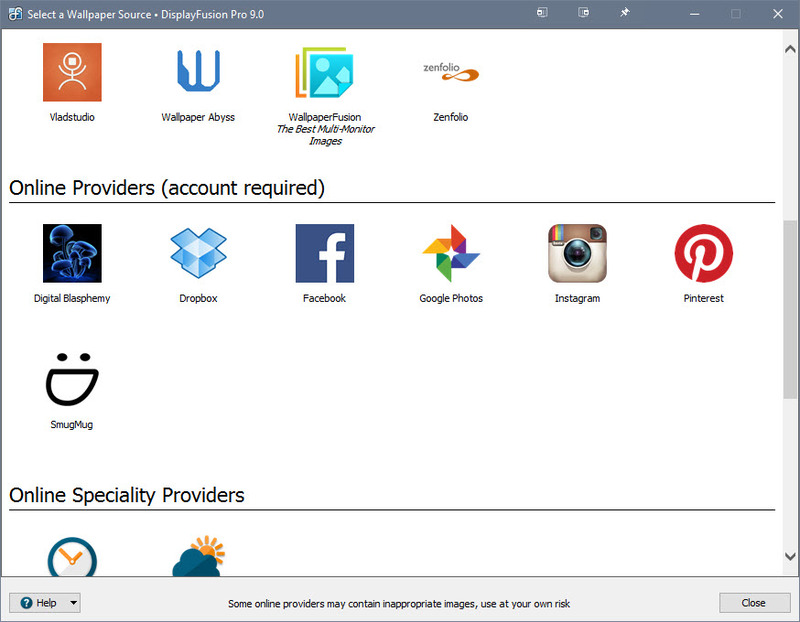 Configure a profile for home, work, day, night or anything you need. 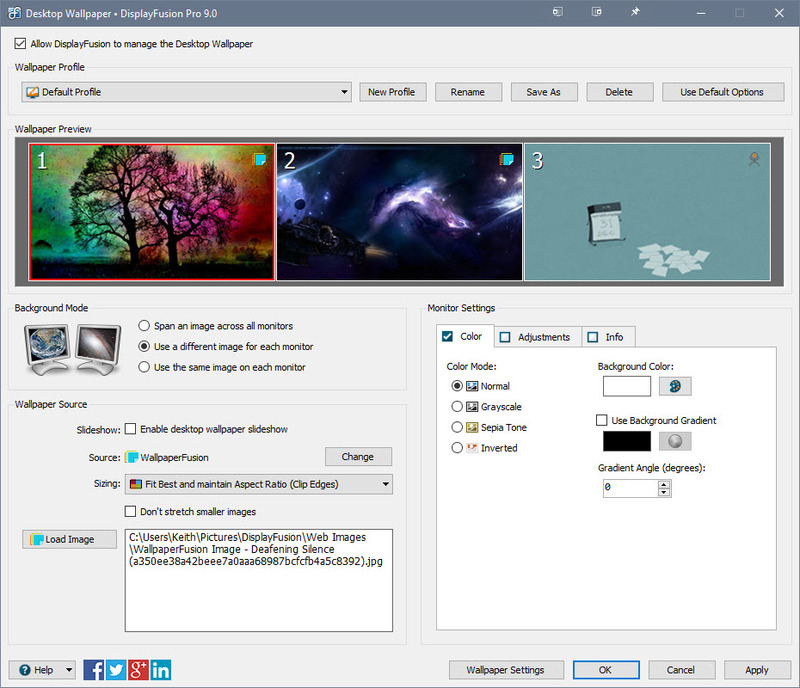 Load different Wallpaper Profiles from DisplayFusion's system tray icon, or DisplayFusion Functions that can be triggered by key combinations or TitleBar Buttons. 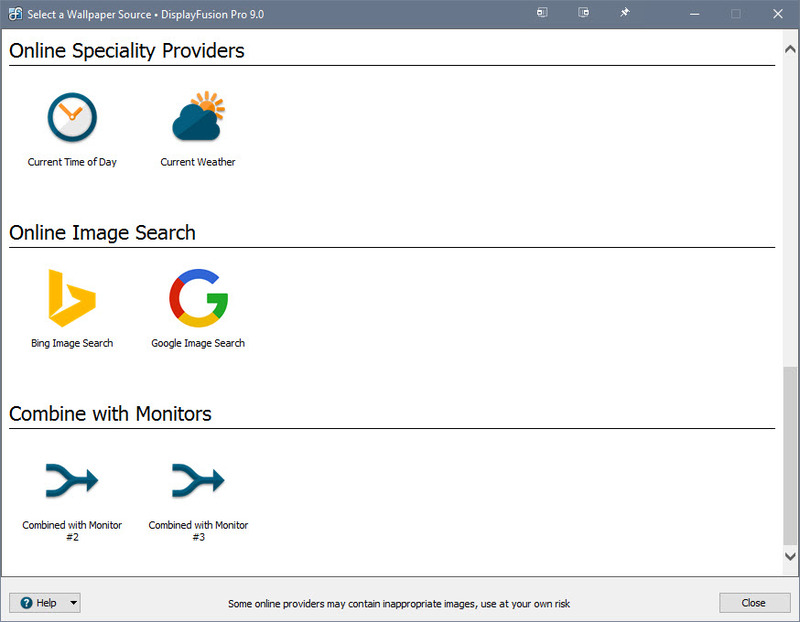 With DisplayFusion's Monitor Profiles, you can even have specific Wallpaper Profiles loaded automatically based on detected Monitor Configurations that you've previously saved. 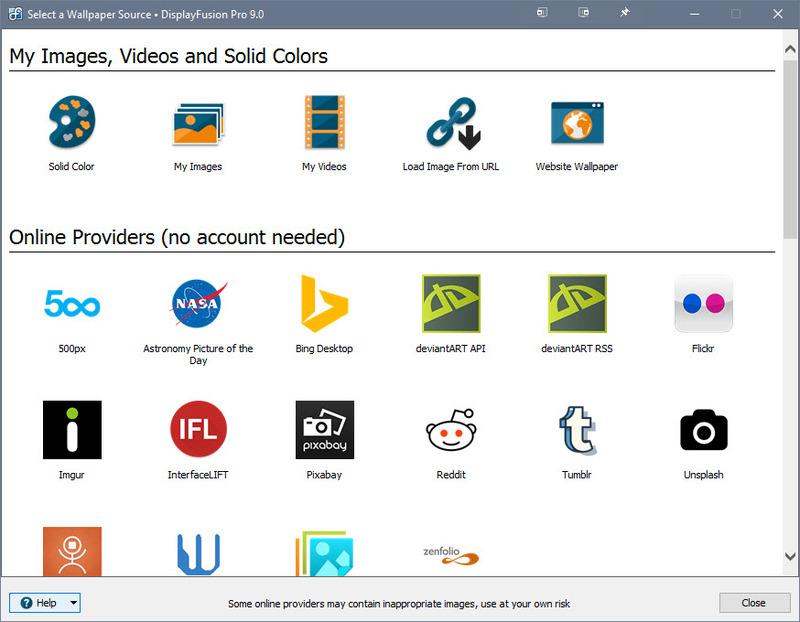 You can load images from your computer, or automatically bring images in from the 25+ different online image providers that DisplayFusion supports. Once you've selected an image to use, choose whether you want to span it across all monitors, or use it on a single monitor. Change the sizing mode to tile, stretch, crop or centre your image for the best fit on your monitor(s). Adjust the colour of the image using 1 of 4 different colour modes: normal, sepia, greyscale or inverted. Change each monitor's image position and scale to compensate for your monitor's bezel, or just zoom in on an interesting part of the image. Flip each monitor's image horizontally or vertically, or rotate the image to any angle you like. 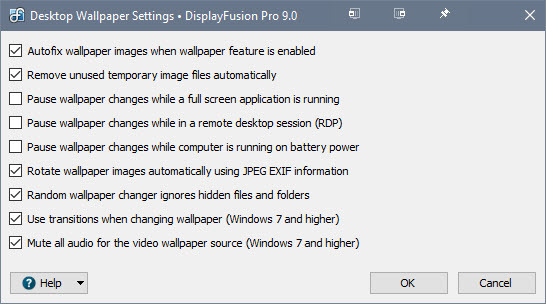 Configure the timer to have DisplayFusion change your wallpaper images automatically, downloading new images every time. Keep your wallpaper fresh and fully customized. You can also configure information to be displayed on the desktop. This information can include things like the file name of the current wallpaper, hardware information, and more!